well, today is the third and last day, at least for me, of the shot show for this year. It was less expensive to skip the last day and fly home one day earlier, so that's the way I set it up. 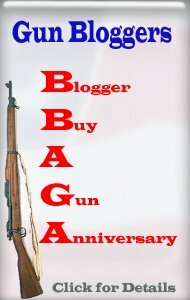 today will be an interesting day, as today is the day that the gun blogger rendezvous will be publicly awarding a check to HAVA, the Honored American Veterans Afield charity. Anthony from lucky gunner and I will be making the presentation.the presentation will be made at 3:30 PM at the HAVA booth. If you are here at the shot show it is on the ground floor, I guess they call that level I, and the booth number is 2517. I am going to wrap this up for now, as I am going to meet this morning with the head of the NSSF first shots program. If you are not familiar with the NSSF first shots program, it is an excellent way to get new shooters involved in shooting at your local club and range. If you go to the NSSF website, you can find much more information on the program.